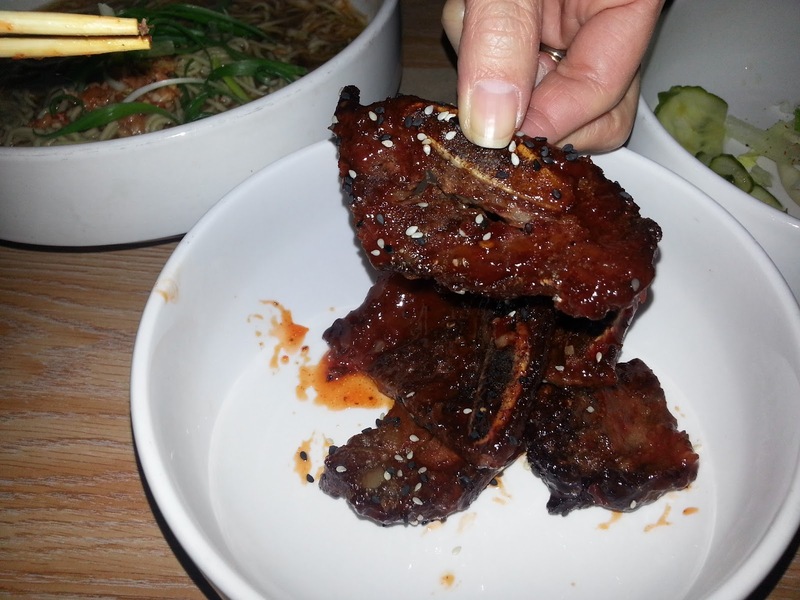 "Noodlecat is Chef Jonathon Sawyer's Japanese and American mashup ramenhouse in the CLE." Okay, it's a mashup. I had the Takahachi Ramen which I will say I'll never order again - it wasn't "bad" but I won't say it was good either. In fact, in general I think I'd have to say overall I was disappointed. Perhaps I am more of purist that I thought since it wasn't "bad", I just didn't like it. First off, you are going to call it ramen please have ramen noodles. I'll be honest and I'm not sure they called any of their dishes ramen so I can't really complain since their was no intention of it tasting like ramen noodles. 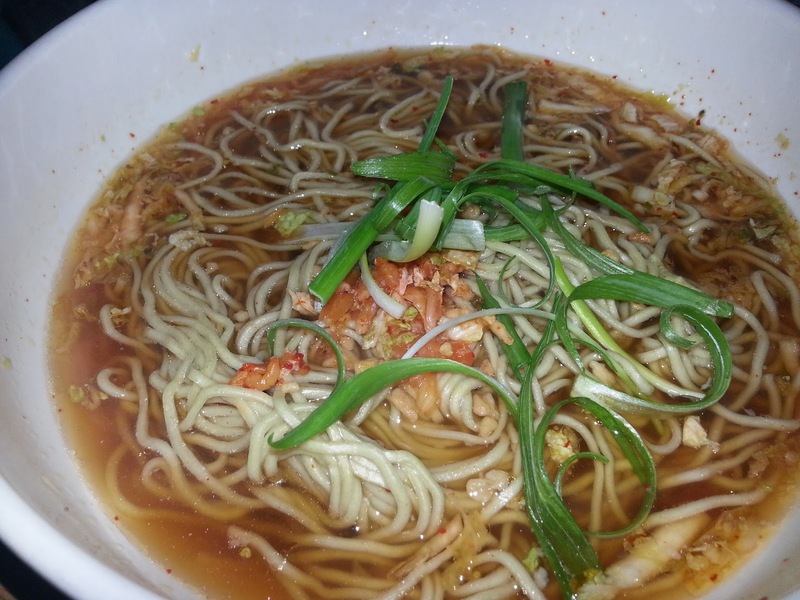 I was not a fan of the noodles and would have taken soba(buckwheat) over the ones served at Noodlecat. Arisa and George had the BBQ rib ramen. The soup for that dish was good and I felt like I was having real ramen, except I've already talked about the noodles themselves. The short ribs came with a delicious sweet and sour sauce. That and Japanese rice would have been a good combination. However, Arisa complained that the taste of the ribs overpowered any tastes in the ramen itself. Good by themselves, bad as separate dishes to be eaten together. Arisa suggested providing less ribs but putting them in the ramen as opposed to separate. 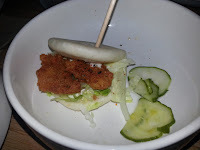 We also had the gyoza as an appetizer and I ordered the tonkatsu bun. Both of these were good. I liked the gyoza, suprisingly since they had no meat but used chickpeas and something else. Very good though. The bun was also good and the Tonkatsu was excellent as well. However, I will say I'd rather have a straight up Nikuman instead. But that's me, I'm pedestrian. Overall I'd give it a 6 or 7 out of 10. If I have some extra time to eat and am in the area I'd certainly pick it over a chain restaurant or fast food. On the other hand I wouldn't go out of my way to go to Noodlecat. I kinda wish Wagamama's were around. If you go, I'd certainly like to hear your opinion if you go.